Hersheypark 2020 - Hershey's Chocolatetown: New Expansion : Theme Park News & Construction! At the moment, it's seems like this will be from B&M, but who knows at this point. I'm sure will find out more details about this sometime next year. Last edited by Traintastic26 on October 3rd, 2018, 2:22 pm, edited 1 time in total. It's a little weird, but still would be cool. Looks pretty straight forward - could be a B&M? Doesn't look like it's much more than an airtime machine. B&M seems most likely, but I am still going to keep hope for a large scale Gravity Group, because its been a decade since one has been built in the US, and it would fit in well with their current line up. On a serious note, I remember them talking about this expansion during a tour in 2012, so its nice to see it finally become real. No matter what 2020 brings it will be exciting. OoOoOoh more Hersheypark coaster. I'm excited that it's going to be a hyper and I looked forward to more details. Project Madrid? 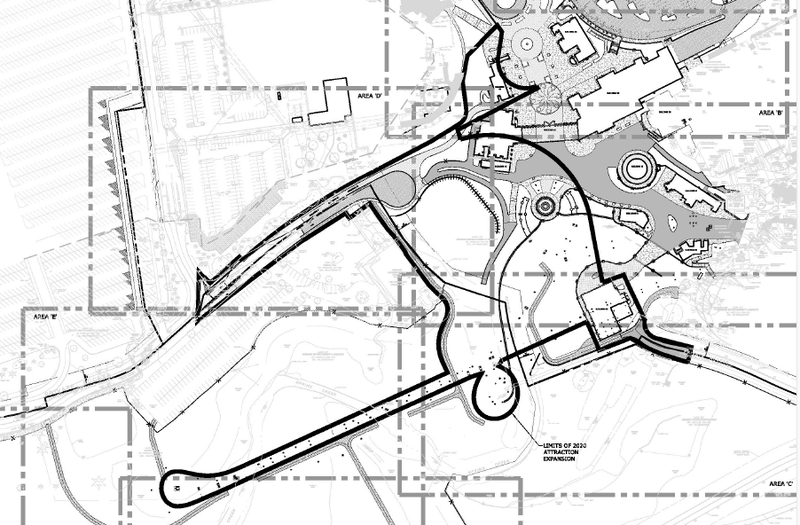 That could be a giga, or maybe just a really forceless drawn out blitz coaster. And then the list of companies KI will work with for 2019 & 2020- It cant be for the new Diamondback padding because that was an offseason project. Then this. I'm so confused. I thought "Project Madrid" was for Busch Gardens? 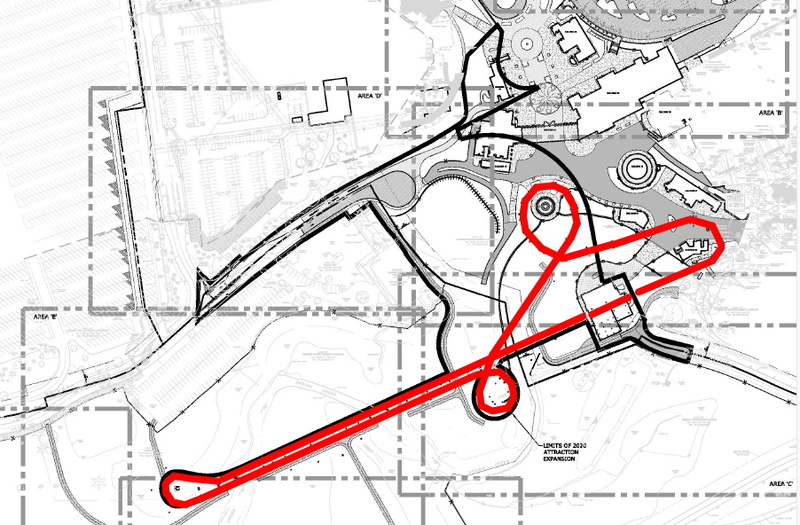 And forceless drawn out blitz coaster? Do you not like the one or two in China? What blitz coasters in china? Wasnt there one like superman in australia coming to a happy valley? The footers seem to move away from a hypothetical centerline only once before the turnaround which I find a little weird but we'll see what this ends up being. Was not expecting an announcement so soon... THE HYPE IS REAL!!! I am not as hyper as most would be for this new coaster (because unless it’s like Baeko or Shambhala it won’t be amazing) but an announcement this soon is great. YAAAAYYYYYYYY So excited for this. I wish they would have added maybe another flat or 2 to go with it, but this new enterance area looks beautiful and the coaster is exactly what they needed. Can't wait for more details!! True, but Skyrush is geared towards ejector air and pure intensity whereas this looks to be more geared towards a smooth, graceful, floater filled ride. It's probably not the better ride (only time will tell) but it's the perfect contrast. Better is relative. It'll be better for families to enjoy together or at all. B&M hypers are crowd pleasers, whereas Skyrush pleases those who both enjoy and can endure serious thrills. Skyrush (outside of the restraints) is surely regarded among us as being more original, more intense, more exciting, but the B&M I'm sure will get more and happier riders, and that's what they want. I think it's a great addition for the park, even if Nitro is close. It's still the type coaster that will satisfy every rider. I do wish they got a bit more creative with the layout while keeping the same family fun style, but that doesn't matter a whole lot.